I sent an email out to my list a few days ago, about an opportunity to learn passive income strategies from two experts. The experts I’m referring to are Nicole Dean and Melissa Ingold, and the opportunity is their Sticky Passive Income course coming up in January 2014. I’ve heard Nicole speak in person about this topic, and I’ve followed Melissa for quite some time as well, so I already understood what they were talking about when they say “passive income.” I mistakenly assumed that others would understand as well. I received an email from a subscriber that told me I was wrong. He was concerned about the sales copy that talked about going on vacation and spending time with family without it having a negative impact on your business. He thought the concepts sounded dreamy and probably a little bit like a magic-button-solution. I wanted to clear up the confusion for anyone who may be thinking passive income is a pie-in-the-sky dream that could never be a legitimate goal. First, what exactly is passive income? Quite simply passive income is money that comes to you without your active participation. Now, before you start backing away and thinking this is getting into the dreamworld, think about it for a minute. If you’ve ever earned interest on a savings account, that was passive income. Obviously, it isn’t a LOT of passive income, unless you have a really big savings account, but you get the picture. You have to put some system into place, and then the money happens without your constant work. Providing a service, like I do with Freestyle Books, is NOT passive income. It requires a great deal of my active time and energy to earn the money generated by the service. Writing guides like CreateSpace Intensive, and having affiliates who believe in it enough to tell their subscribers about it, creates passive income for me. Why Do You Need Passive Income? Okay, so you’re starting to see that passive income isn’t some magic bullet, but is instead the result of strategic work and planning. Why do you want some though? Couldn’t you just continue to provide a service, such as formatting, or ghostwriting, or freelancing, and make plenty of money that way? Well, you could, if you want to be in a paycheck situation. By that, I mean when you have a regular job, you work your 40 hours and get paid for 40 hours. You may earn some vacation time, but beyond that, if you take time off, you don’t get paid. Period. Passive income allows you to take extended vacations, or allows for time off if you become ill or are injured. You may lose some of your income by being absent, but not all of it, because you have those mechanisms in place to continue earning for you without your hand on the wheel. It is also the only way to reach the higher levels of income that many aspire to when they turn to creating their own business. Let’s be honest. You’ll never create a 7-figure business by doing all of the work yourself. Where Does Passive Income Come From? So how do you get yourself some passive income? I’ve already mentioned product creation. If you create products, especially evergreen ones, they can become a good source of passive income. You can have even more passive income if you have active affiliates. 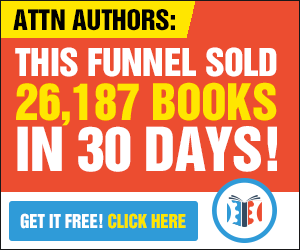 Writing and publishing books is, of course, a great way to create passive income as well, and even more so if you manage to create customers and/or subscribers out of one-time buyers. Promoting products as an affiliate can become passive, if done correctly. It means having systems in place that will get your promotions in front of people on auto-pilot. The fact of the matter is, for every method of passive income we can think of, there are ways to make it easier, better, and more profitable. Like anything else, learning these strategies from someone who has practiced and perfected them can shave a lot of time off the learning curve. That’s why I shared two links with my email subscribers about learning passive income strategies. The first, for a course called Found Money, is free until the end of December 31, 2013. The second, for Nicole and Melissa’s Sticky Passive Income, is available at a pre-launch discount until January 3, 2014. I hope this article has cleared up a little bit about what passive income actually is, and why it isn’t some secretive, unethical, or impossible dream. It’s simply about working smarter, so you don’t have to work harder. Passive income is a GOOD thing. Go get you some! I agree! Creating a steady passive income is my goal in 2014. 🙂 Service jobs are the fastest way to create online income but definitely not long term like you say. Nicole and Melissa are wonderful teachers too and I always look forward to their courses! Nicole and Melissa certainly have things figured out! I enjoy watching over their shoulders, because I always pick up some great new ideas to use in my business.